DNC compliance and SAN registration procedure. ProMarketing Leads, LLC is fully DNC (Do Not Call) compliant with all consumer lists and sales leads used in telemarketing. 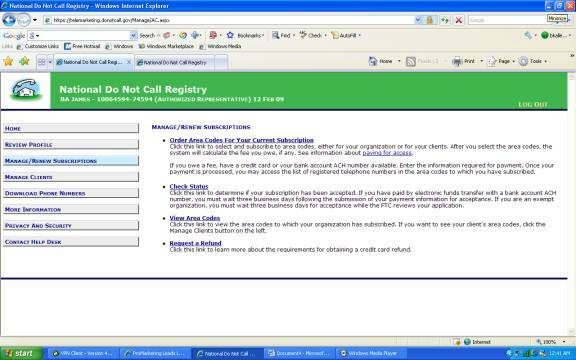 Before we output any scrubbed consumer phone numbers on a telemarketing list, we obtain our client’s SAN (Subscription Account Number) as required by the FTC. If you don’t have SAN we’ll help you obtain one. How do I obtain a SAN (Subscription Account Number) from the FTC? Under New Users click on the Register link. Move down to the lower half of the page and enter the requested information. For your Organization Function select “Seller”. You’ll need to enter your email contact information as the Registered Rep and Downloader. Click Submit. The following page will ask you to review the information you entered. If all looks good, click on the Create Profile link near the bottom of the page. Next, you will be asked to verify the FTC terms and conditions; do so. 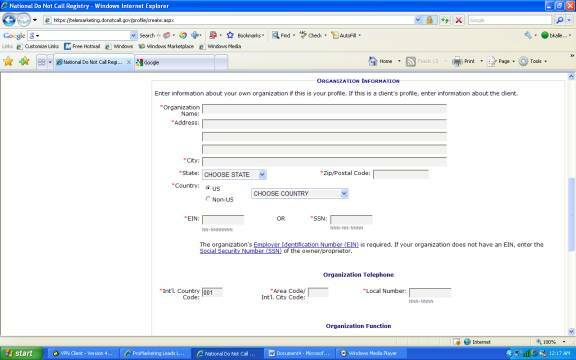 The following page should contain your org ID and Representative password. Print this page, as we will need this information later! After you’ve printed and retained your ID and Password, you will want to click on the Manage/Renew Subscriptions link. Enter your Org ID and Representative Password. Be sure to click the Representative button. 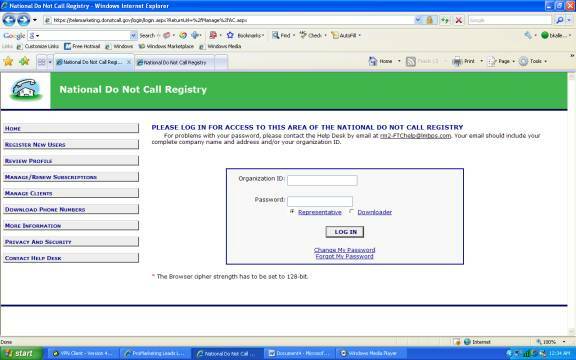 Once logged in, click on the “Order Area Codes” link. Then under Subscribe to Area Codes, click on the Area Codes by Area Code Link. On the next page, choose the area codes you want to subscribe to. The first 5 you choose are FREE. After 5, they are $54.00 per area code. 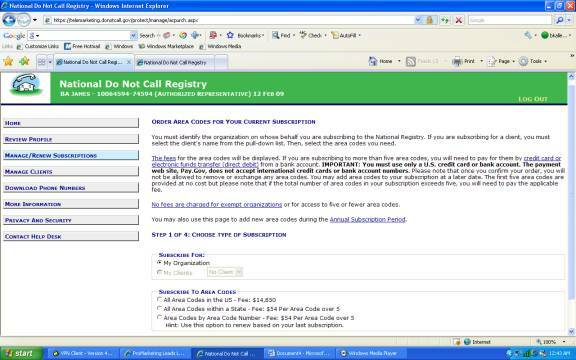 Review the area codes you have chosen and then click the Continue link. You should be finished now! The next page should show your SAN (Subscription Account Number). Print this page. 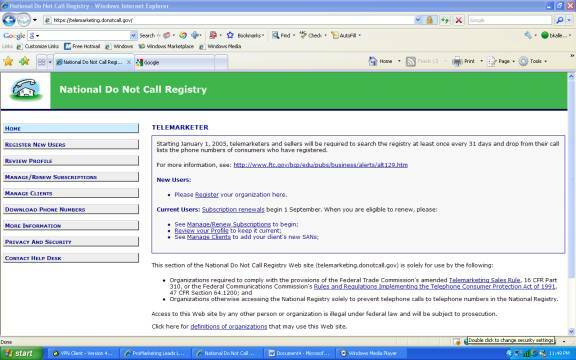 You are now fully FTC compliant to purchase a Consumer Telemarketing List with DNC scrubbed phone numbers. Give one of our friendly one-on-one telemarketing list professionals a call today at (866) 397-2772 – we’re always excited to help create winning marketing campaigns!